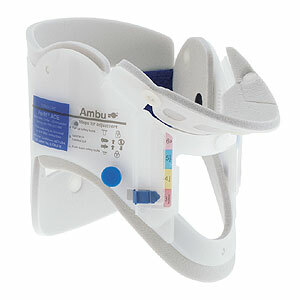 The Ambu Perfit ACE is the only adjustable one-piece rigid cervical spine immobilisation device with 16 precise settings for a customised fit within the range of 4 standard adult settings.The Ambu Perfit ACE comes with a flip chin piece for flat storage and preshape to fit the chin, and to facilitate intubation and removal of vomitus from the patient's mouth.The Ambu Perfit ACE is CT and MRI compatible, and comes with a ventilated, posterior shell for fluid drainage.The Ambu Perfit ACE comes with a comprehensive sizing system for easy and accurate sizing. 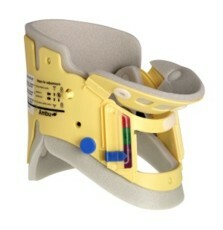 The Ambu Perfit ACE shell material is made of polyethylene. Bulk Discount, purchase 4 at only $9.95 each! 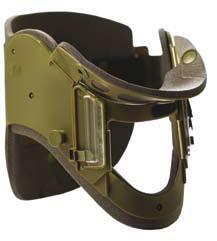 Adjustable cervical collar. Adult use. Ambu Perfit ACE is also available in a Military version that incorporates a camouflage colour scheme of olive drab body and charcoal black foam and label. 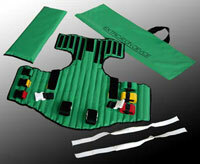 The features and specifications of the Ambu Military Perfit ACE are identical to Ambu Perfit ACE. The Ambu Perfit ACE is the only adjustable one-piece rigid cervical spine immobilisation device with 16 precise settings for a customised fit within the range of 4 standard adult settings. The Ambu Perfit ACE comes with a flip chin piece for flat storage and preshape to fit the chin, and to facilitate intubation and removal of vomitus from the patient's mouth. Purchase 10 at only $5.40 each! Purchase a case of 100 at only $4.45 each! 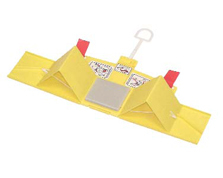 The fully adjustable, disposable Ambu Military Head Wedge immobilises a patients head instantly and effectively in four simple steps. 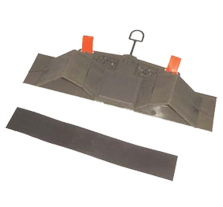 It is similar in design to the standard Ambu Head Wedge but it has been manufactured in camoflauge colours as per military specifications.